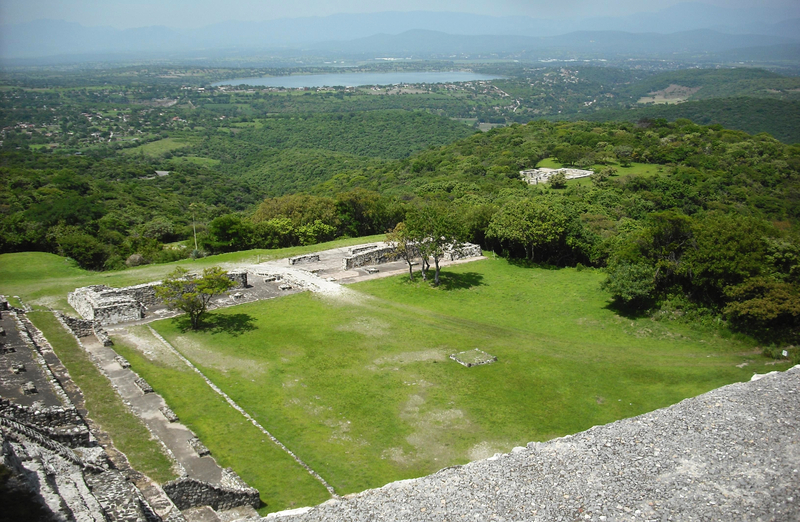 Last week, I visited Xochicalco – an amazing archaeological site in the state of Morelos in Mexico. The ruins date from ca. 700-900 A.D., and include both residential and ceremonial structures. The Great Pyramid at Xochicalco, viewed from the Plaza of the Stele of the Two Glyphs. July 23, 2014. 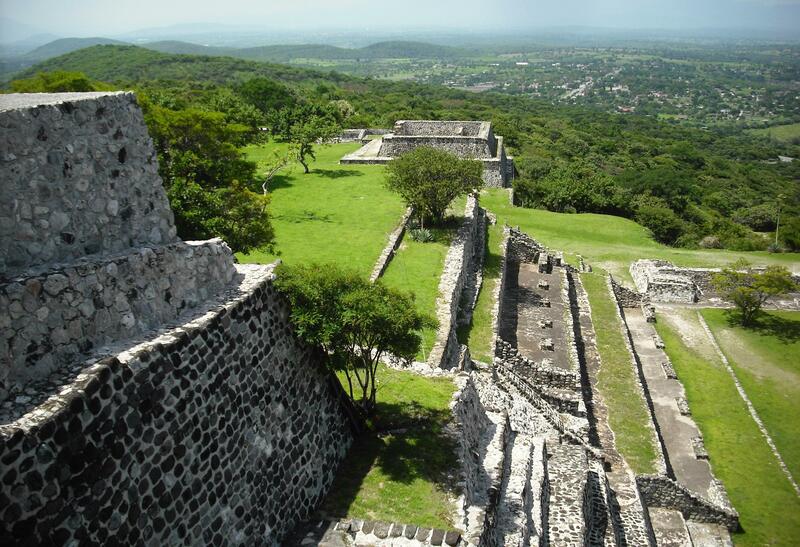 Xochicalco was constructed in multiple levels atop high hills, providing fantastic views of the surrounding area. 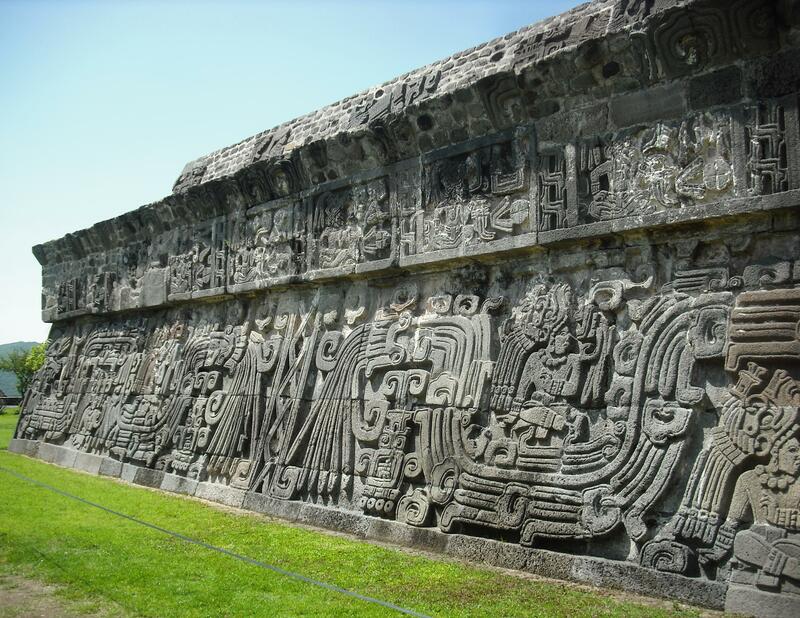 Some of the structures, particularly the Temple of the Feathered Serpent, have beautiful carvings. 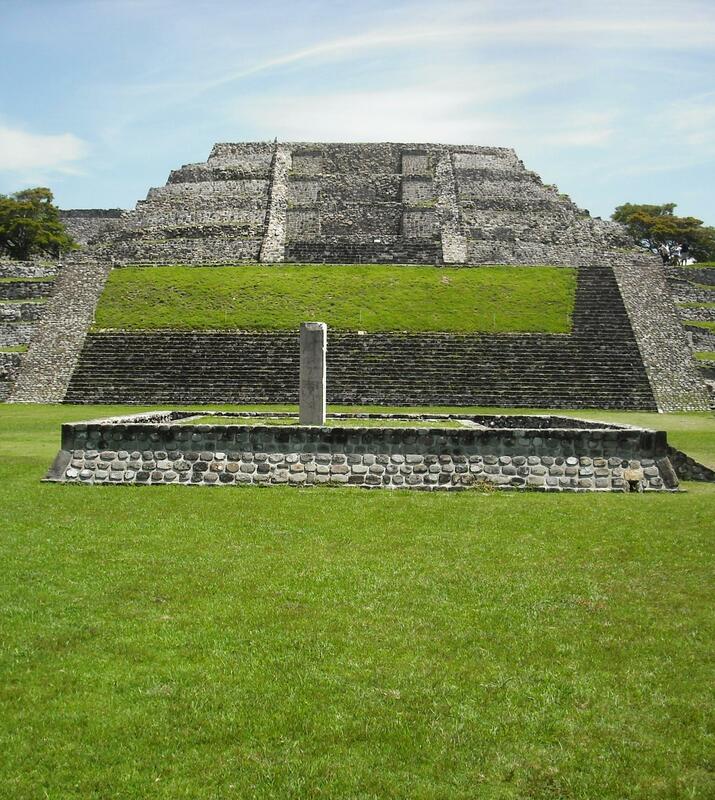 The Temple of the Feathered Serpent, Xochicalco. July 23, 2104. But the ruins and spectacular views weren’t the only beautiful things I found there. 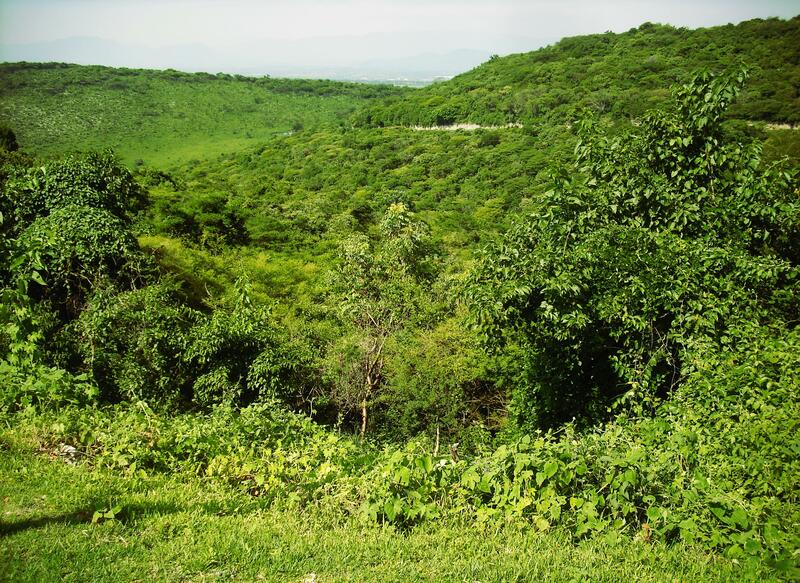 I previously visited Xochicalco in the dry season and it looked very different. The grass was yellow or absent in some places, and many of the trees were missing foliage. Now, in the wet season, the site is lush and green. 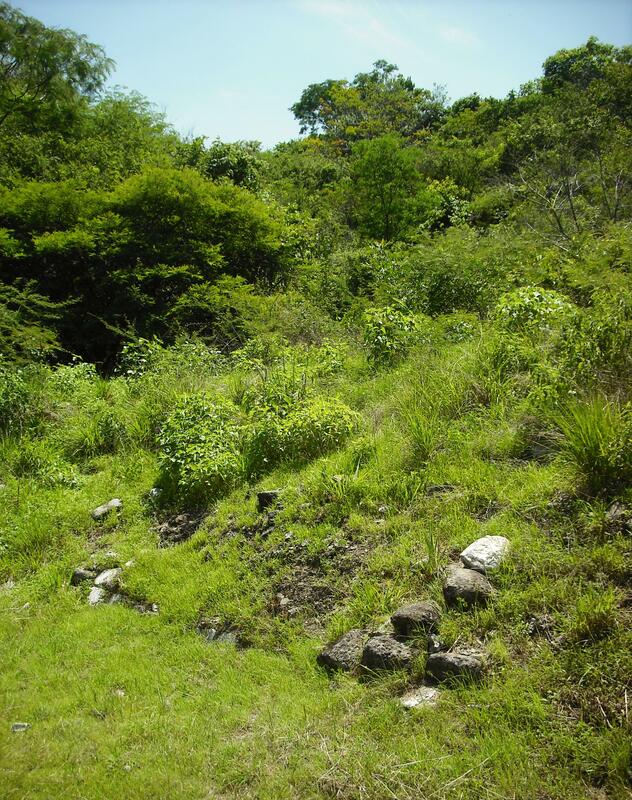 In addition to getting an idea of the habitat, in this picture you can see ruins that have yet to be excavated. 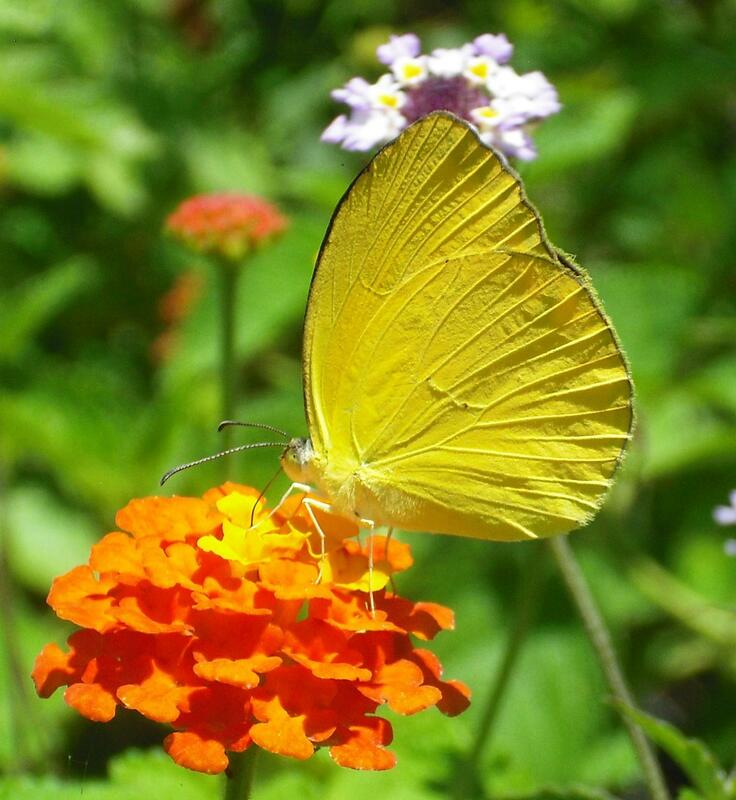 There must have been thousands of butterflies – more than I’ve ever seen in one place! 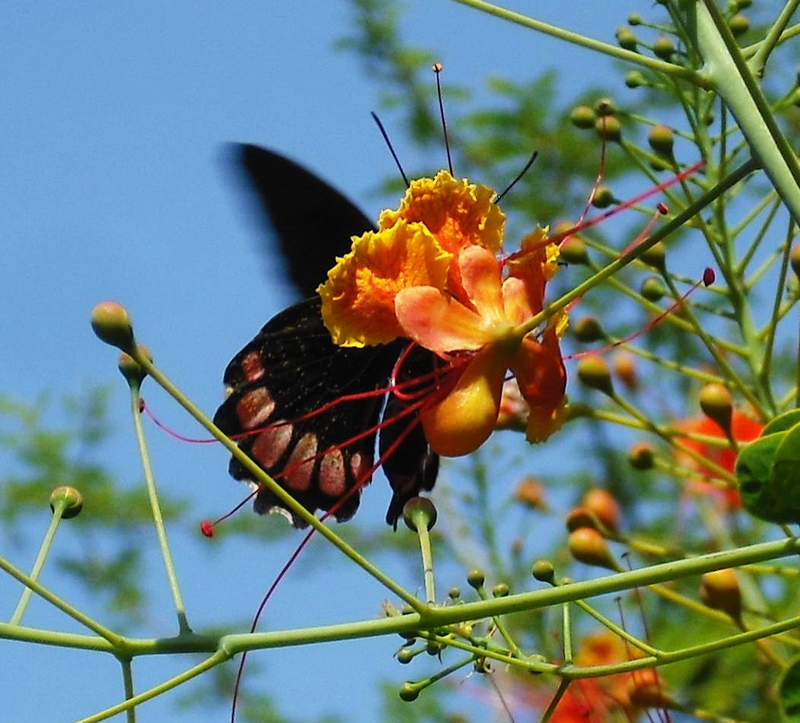 Previously, I’d seen a maximum of ~20 species at a time in outings around Morelos. That day at Xochicalco, I must have seen more than 50. The only frustrating part was that I couldn’t photograph them all. 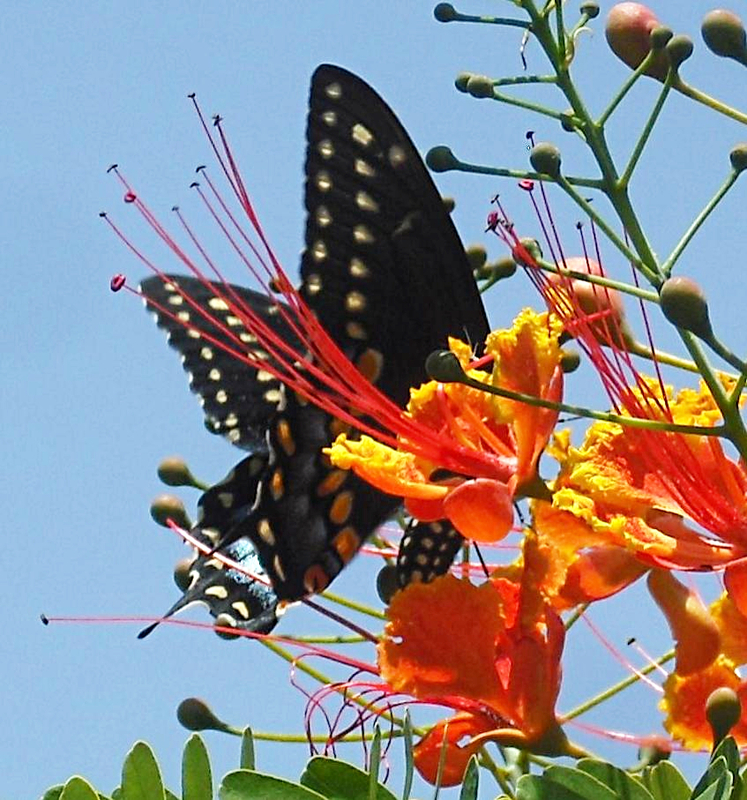 They were so busy feeding and mating that few of them would sit still long enough for a picture. But I did my best. Here are just a few, grouped by family. 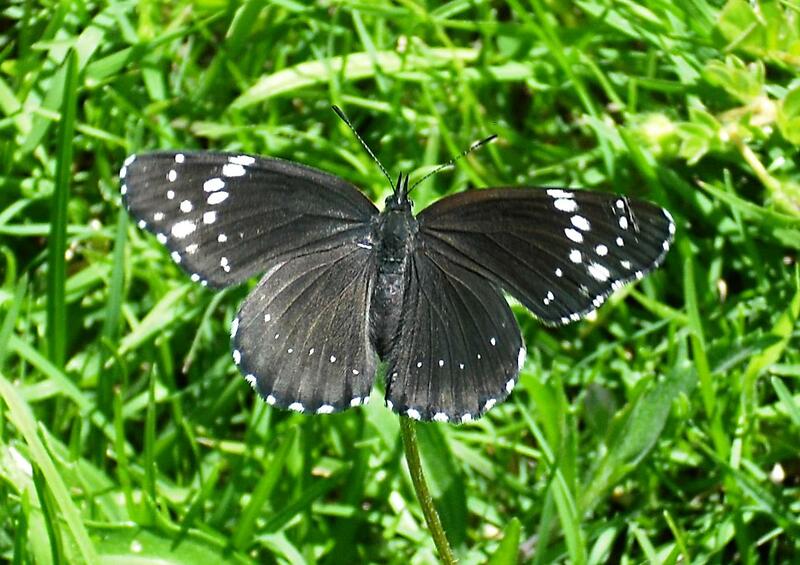 A huge thanks to Andy Warren (@AndyBugGuy) for helping me with identifications. 1. 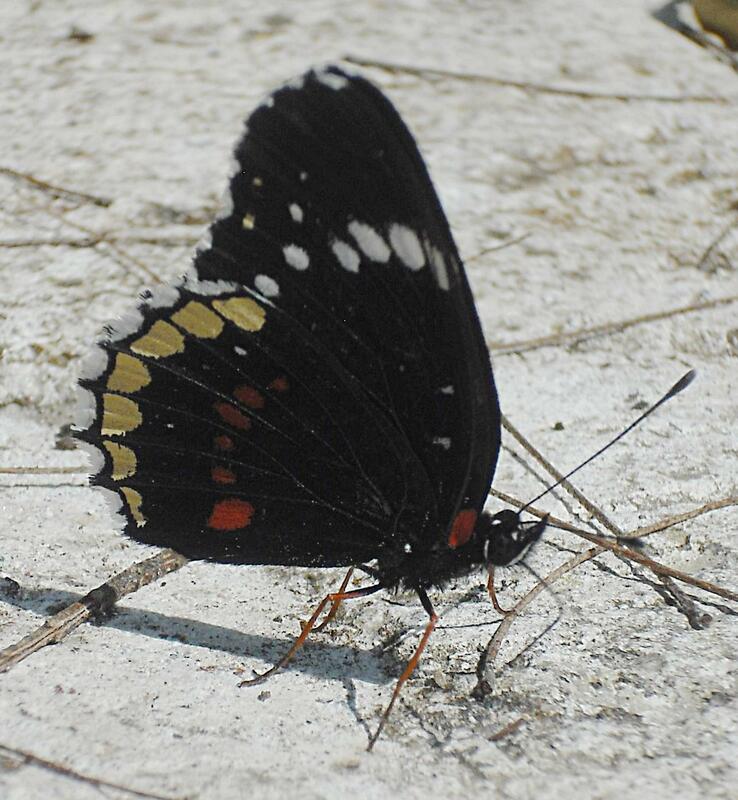 Male ‘Cream-banded’ Dusky Emperor (Asterocampa idyja argus). 2. 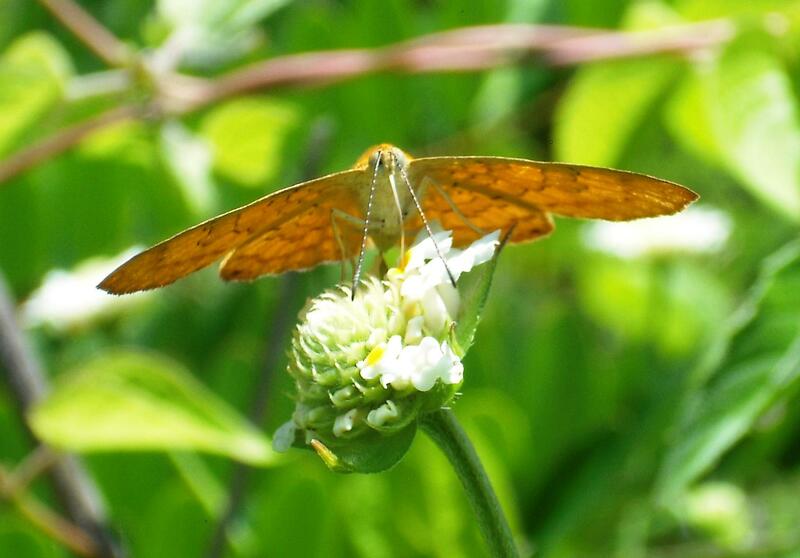 Female Bordered Patch (Chlosyne lacinia lacinia). 3. 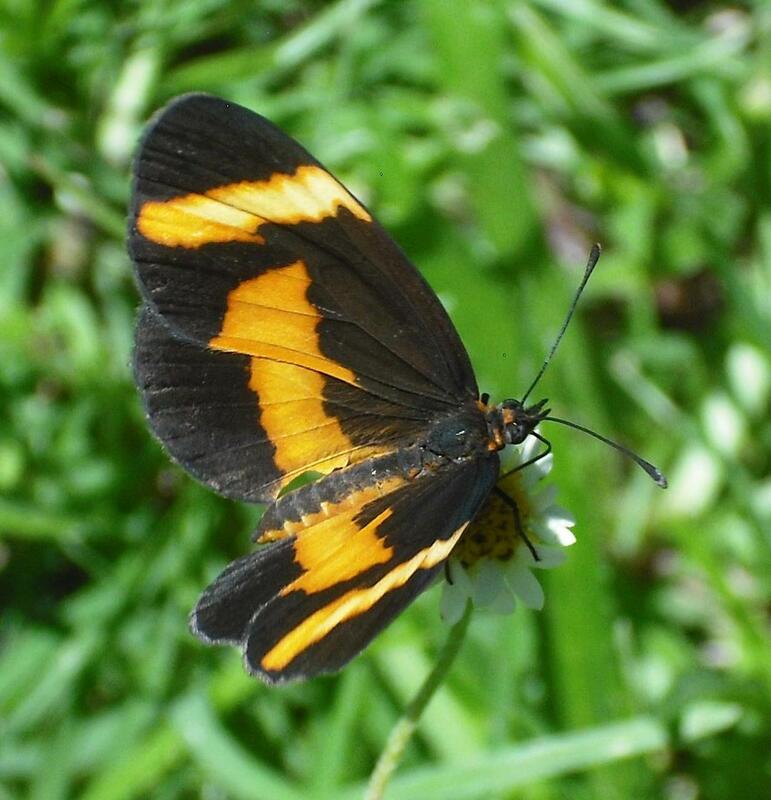 Female Rosita Checkerspot (Chlosyne rosita riobalsensis). 4. 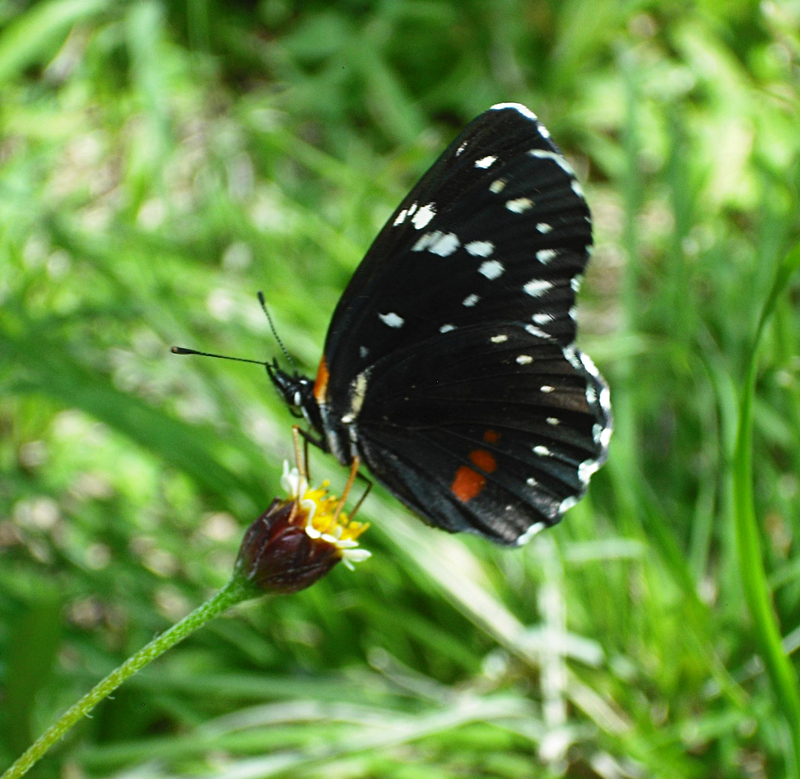 Male Simple Checkerspot (Chlosyne hippodrome). 5. 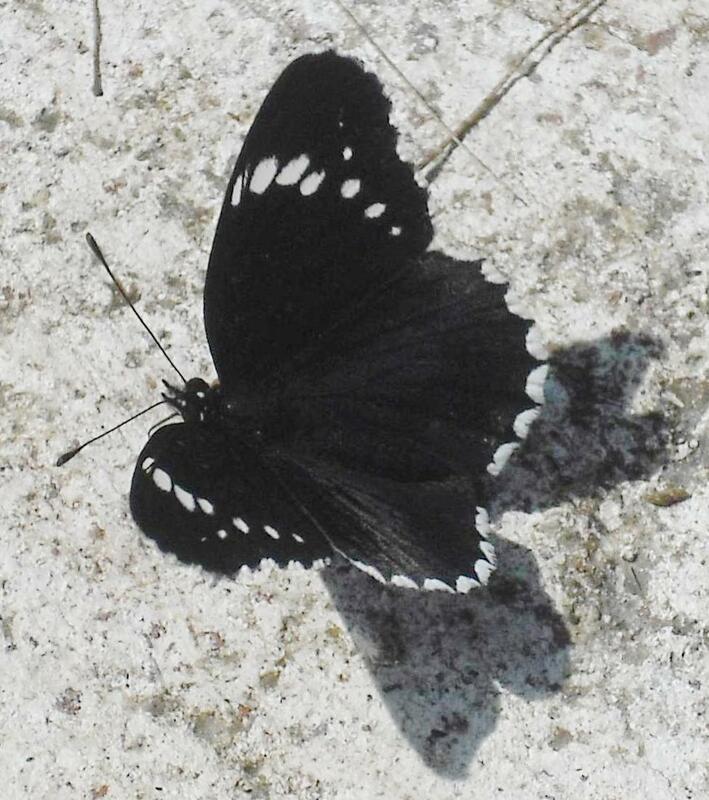 Underside view of individual pictured in 4. 6. 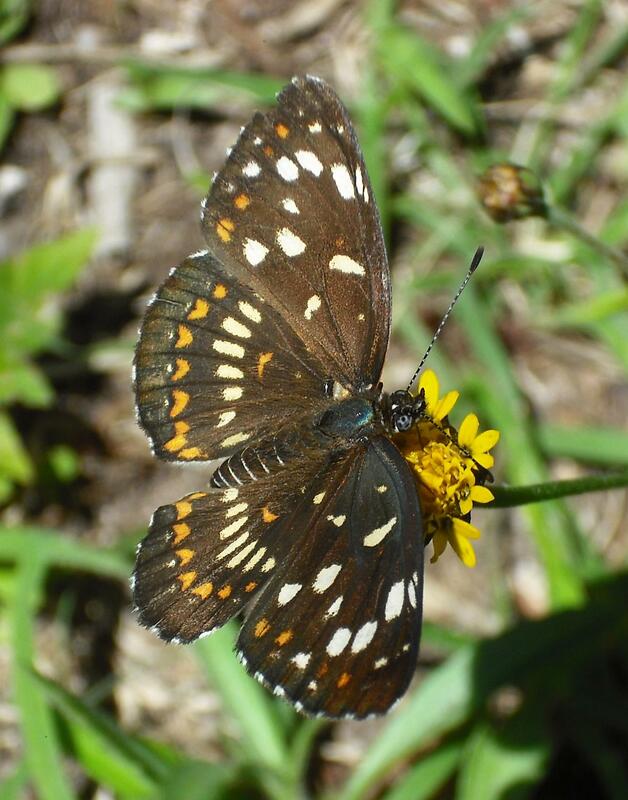 Female Theona Checkerspot (Chlosyne theona mullinsi). 7. 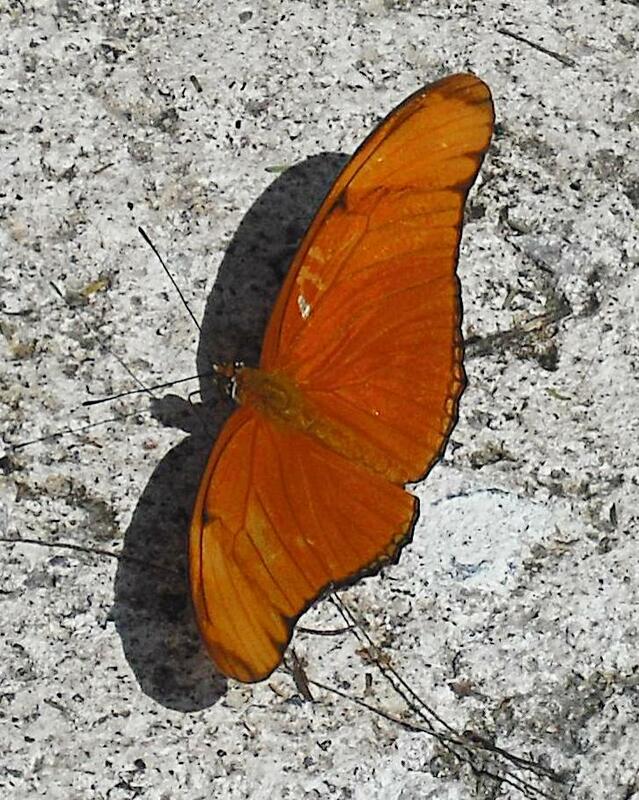 Male Julia Longwing (Dryas iulia). 8. 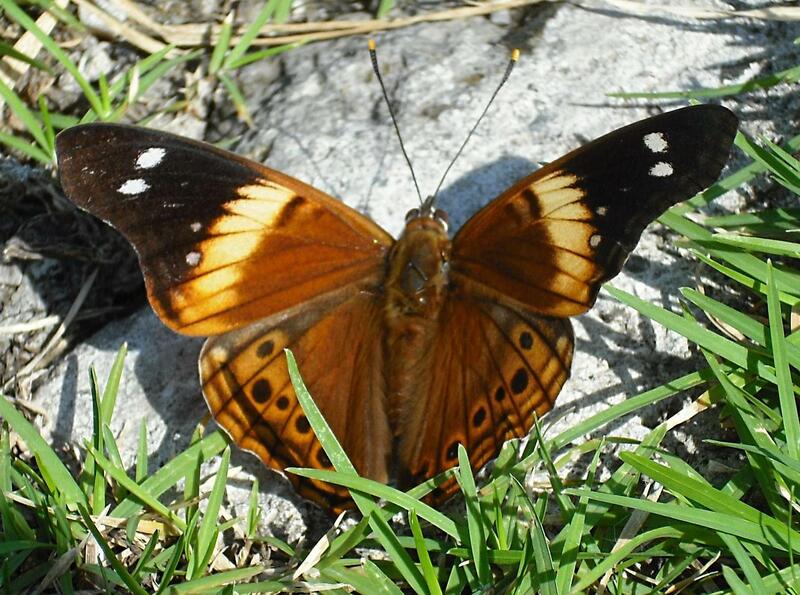 Female Mexican Fritillary (Euptoieta hegesia meridiania). 9. Female Elf (Microtia elva). 10. 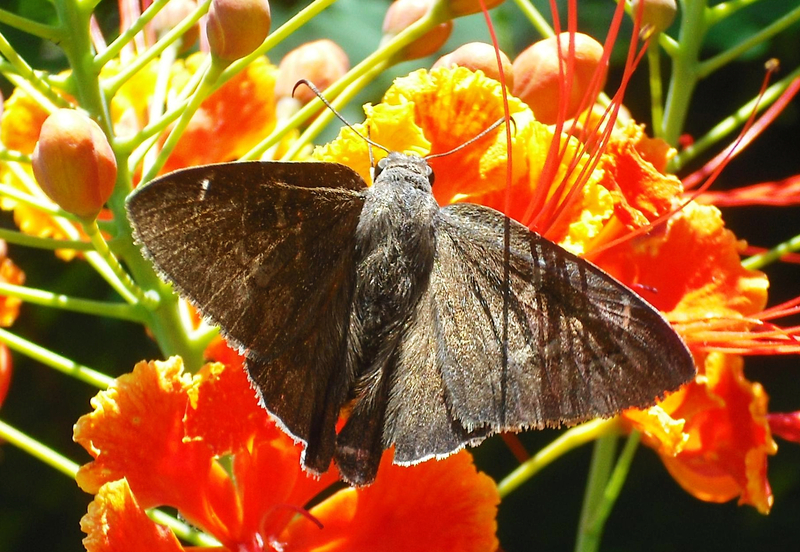 Female Pale Emesis (Emesis vulpina). 11. Another view of individual pictured in 10. 13. 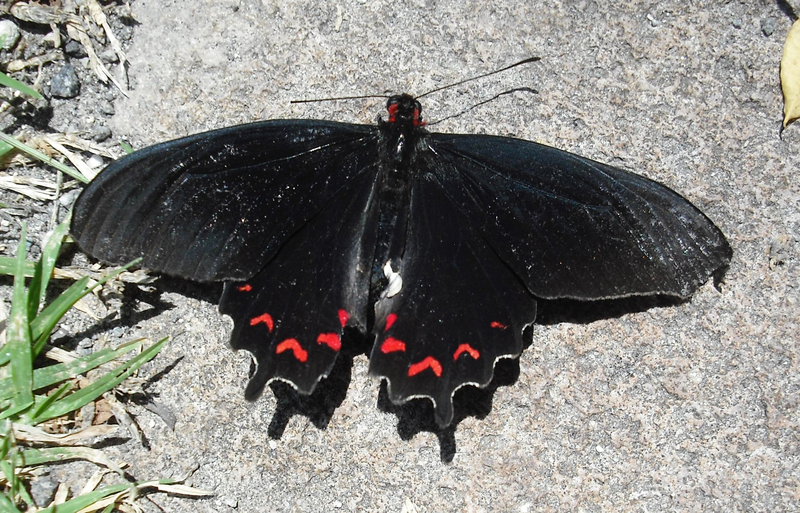 Variable Cattleheart (Parides erithalion trichopus). 14. 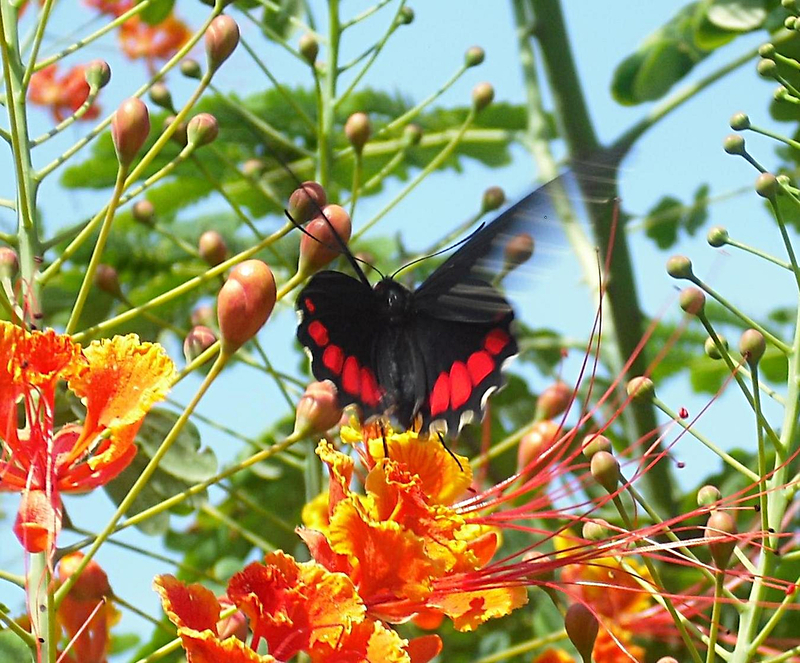 Variable Cattleheart (Parides erithalion trichopus). 15. 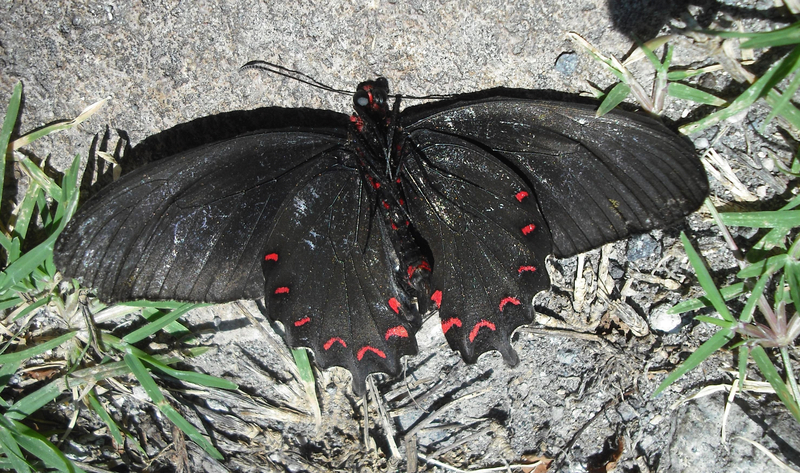 Deceased male Montezuma’s Cattleheart (Parides montezuma). 16. 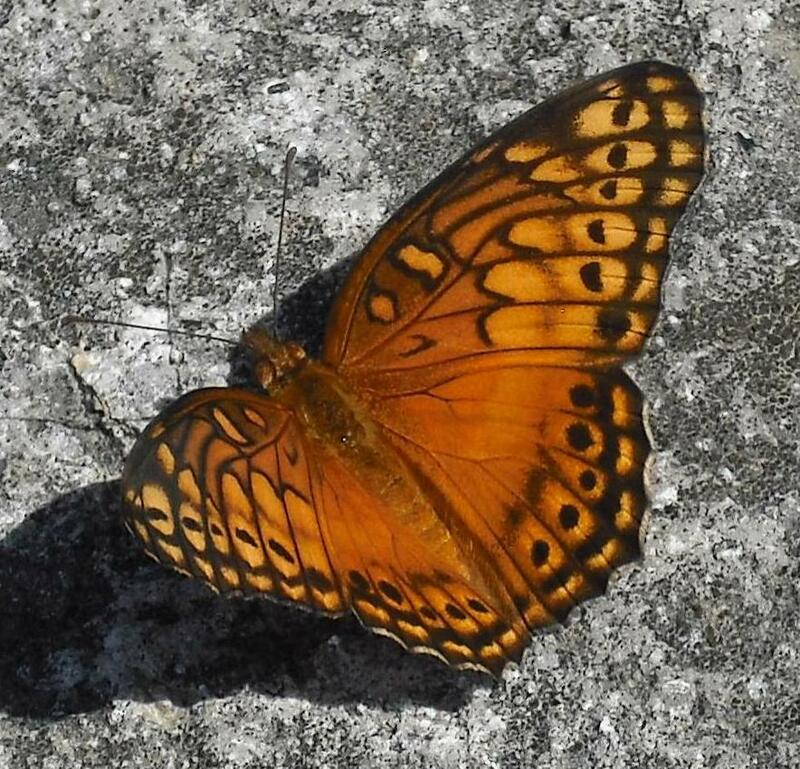 Underside of individual pictured in 15. 17. 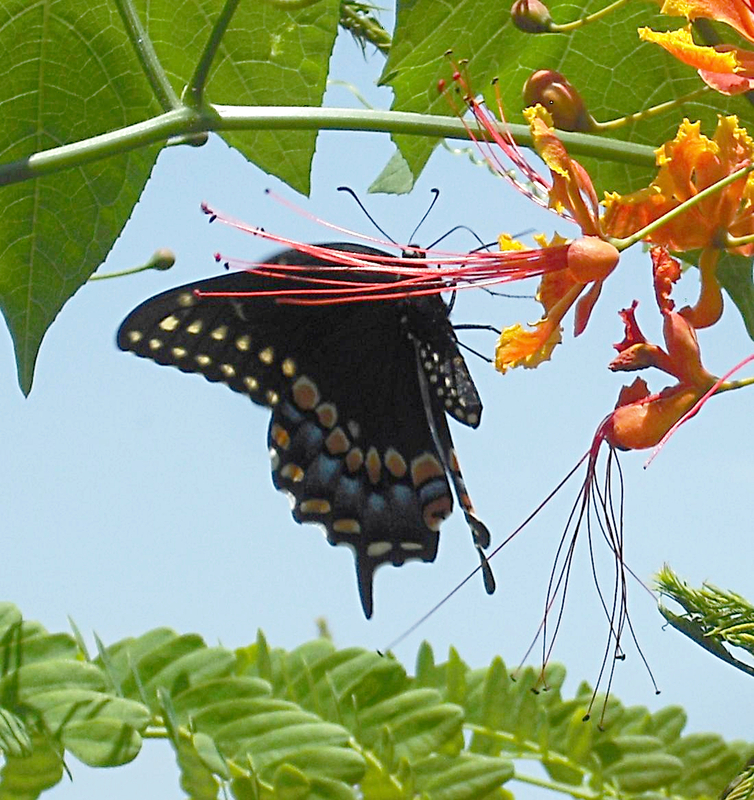 Female Black Swallowtail (Papilio polyxenes asterius). 18. Another view of individual pictured in 17. 19. 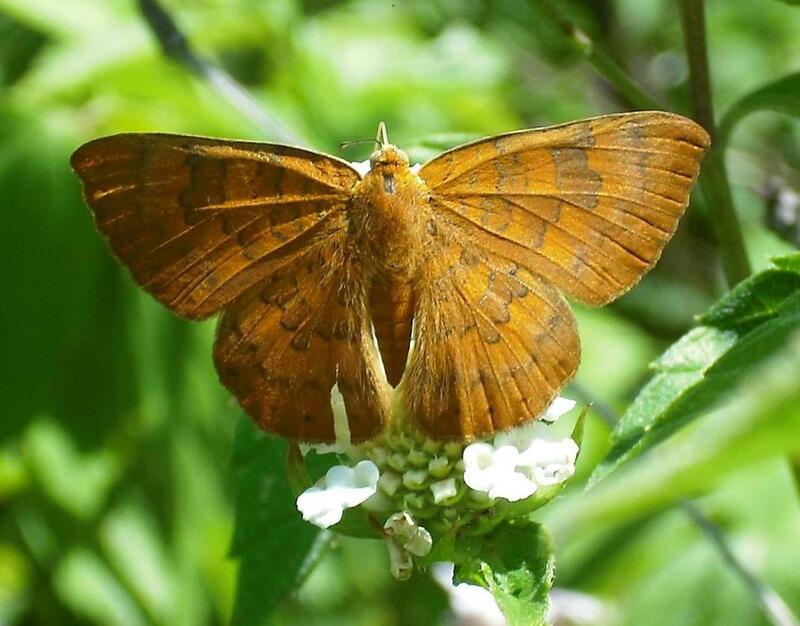 Female Dina Yellow (Pyrisitia dina). 20. 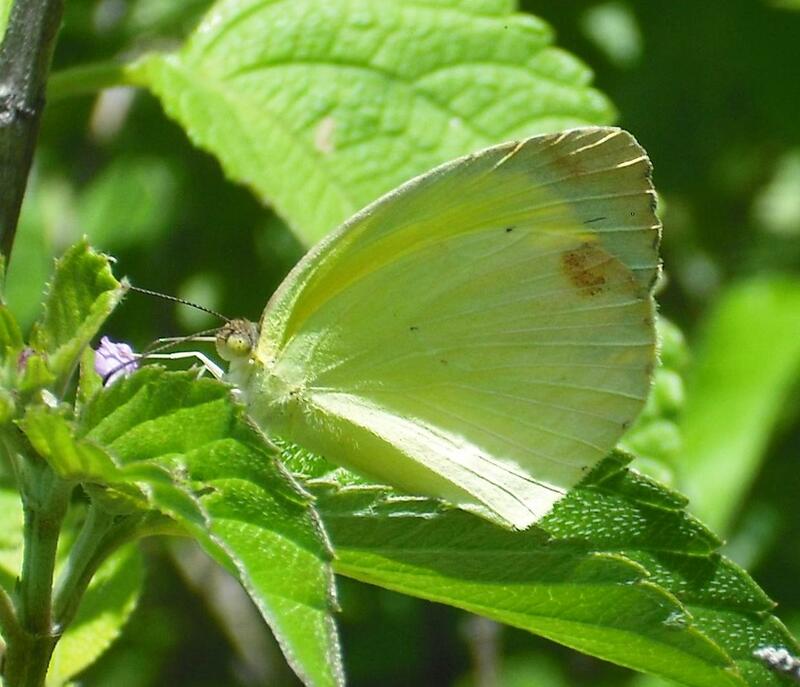 Male Dina Yellow (Pyrisitia dina). 21. 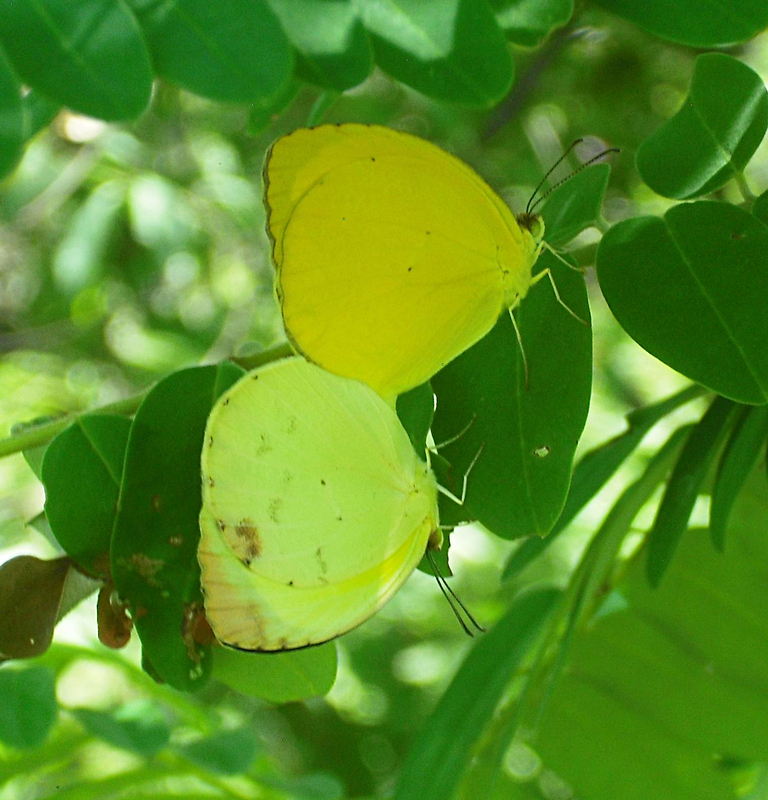 Male (top) and female (bottom) Dina Yellows mating. 22. 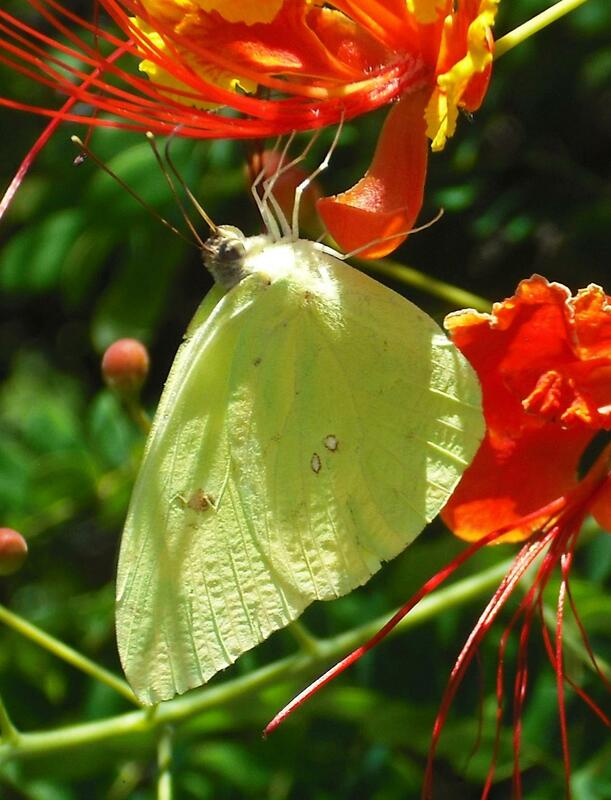 Male Cloudless Sulphur (Phoebis sennae). There were so many more species I wasn’t able to photograph! I plan to return as soon as possible to try again.